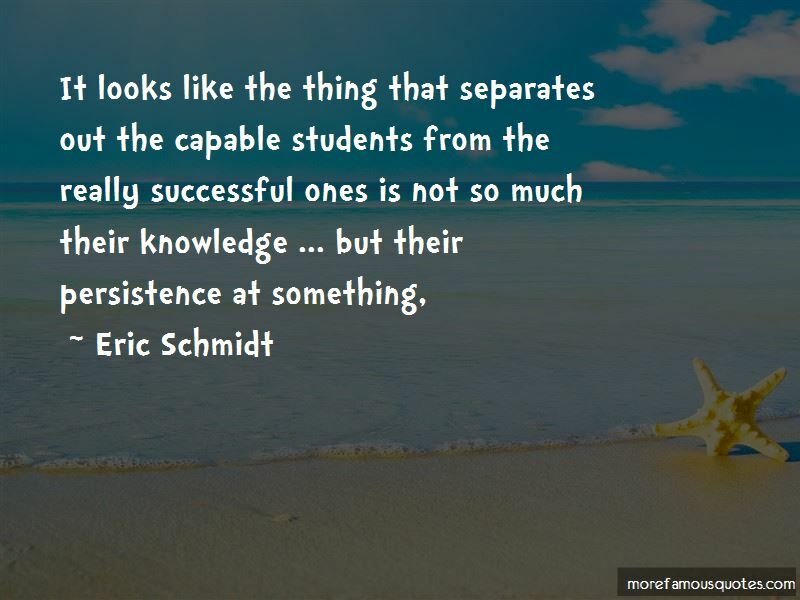 Enjoy the top 194 famous quotes, sayings and quotations by Eric Schmidt. Your car should drive itself. It's amazing to me that we let humans drive cars ... 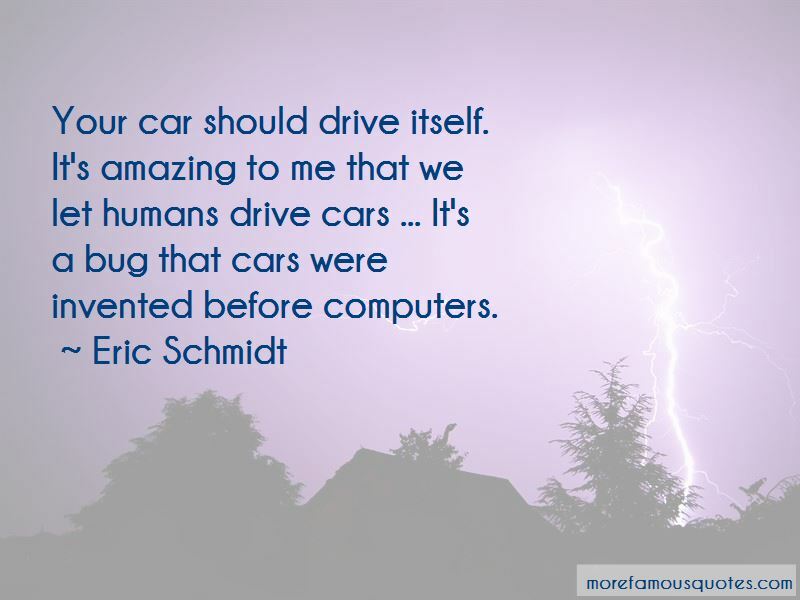 It's a bug that cars were invented before computers. There's nothing that cannot be found through some search engine or on the Internet somewhere. People are surprised to find out that an awful lot of people think that they're idiots. The average American doesn't realize how much of the laws are written by lobbyists. Eric once chatted with Warren Buffett about what he looks for when acquiring companies. His answer was: a leader who doesn't need him. Be very generous with the resources they need to do their work. Be stingy with the stuff that doesn't matter, like fancy furniture and big offices, but invest in the stuff that does. Creating a meritocracy requires equal participation by both the hippo, who could rule the day by fiat, and the brave smart creative, who risks getting trampled as she stands up for quality and merit. If you are a manager, it's your responsibility to keep the work part lively and full; it's not a key component of your job to ensure that employees consistently have a forty-hour workweek. Continuous scans of the brain to measure changes in blood flow) could control a robot hundreds of miles away just by imagining moving different parts of his body. The subject could see from the robot's perspective, thanks to a camera on its head, and when he thought about moving his arm or his legs, the robot would move correspondingly almost instantaneously. The possibilities of thought-controlled motion, not only for "surrogates" like separate robots but also for prosthetic limbs, are particularly exciting in what they portend for mobility-challenged or "locked in" individuals-spinal-cord-injury patients, amputees and others who cannot communicate or move in their current physical state. 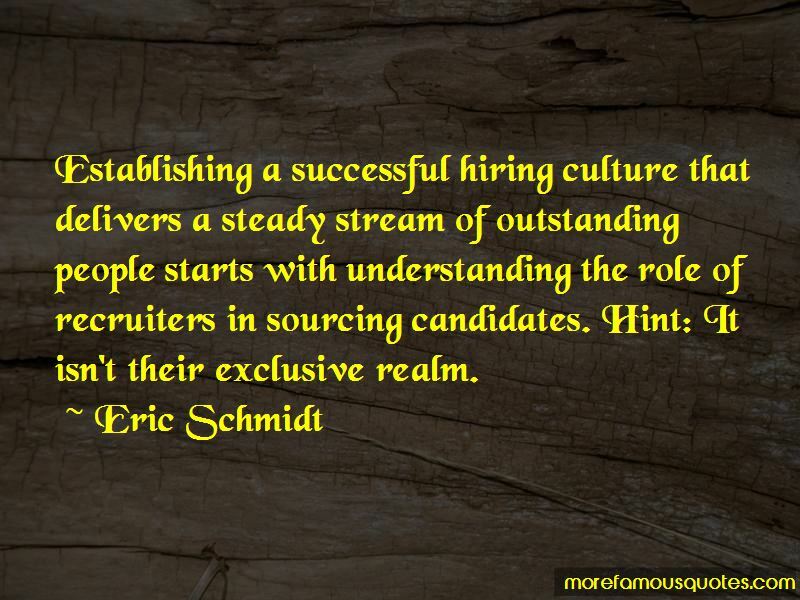 Want to see more pictures of Eric Schmidt quotes? 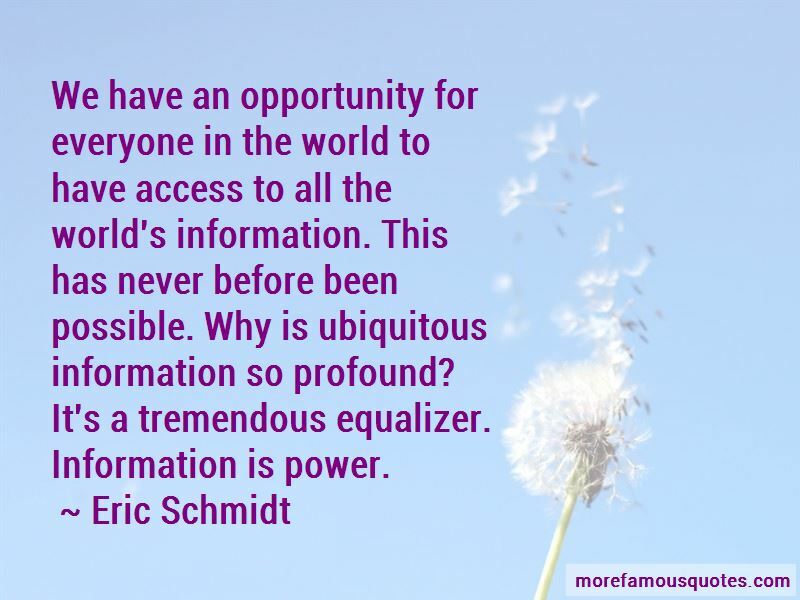 Click on image of Eric Schmidt quotes to view full size.